Welcome to the Greater Dublin Drainage project update for Summer 2017. The results of Census 2016 showed that more than 1.9 million people or just over 40% of the population now lives in the Greater Dublin Area (including Dublin City & County, Kildare, Meath and Wicklow). 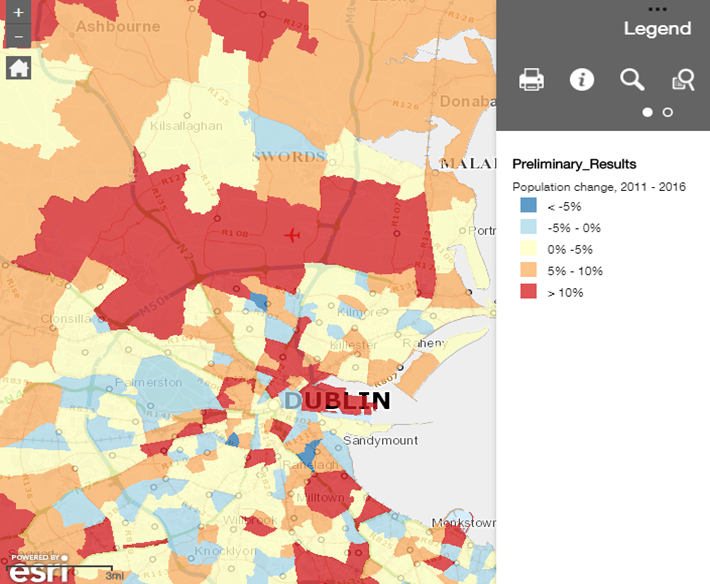 Fingal had the highest population growth rate of any county in Ireland rising by 8.1% between 2011 and 2016 while the population of Dublin City and its suburbs also increased by 5.6% over the same period. By 2031, the population of the Greater Dublin Area (GDA) is projected to reach 2.2 million. Irish Water is working to provide the water and wastewater infrastructure and services that are needed to support this rapid growth and to ensure that our environment is protected. To meet the projected demand for wastewater treatment, we are upgrading the main existing wastewater treatment facilities in the Greater Dublin Area. Many of these upgrades are complete, others are currently in construction, and some are at design stage. The largest facility at Ringsend which provides for the majority of Dublin’s wastewater treatment needs is regularly operating at levels above its design capacity. This means that the underground network of sewers and pipes that bring wastewater to Ringsend, and the treatment plant itself, are under considerable pressure. Irish Water is currently preparing a planning application for additional upgrade works which will maximise its treatment capacity. However, even with the planned upgrades to the existing wastewater infrastructure, by the mid-2020’s we won’t have sufficient treatment capacity to meet the forecasted demand in the GDA. This could lead to restrictions on development in certain areas or, at worst, to environmental incidents. The Greater Dublin Strategic Drainage Study in 2005 and its associated Strategic Environment Assessment in 2008 recommended that a new regional wastewater treatment facility be developed in north County Dublin. The Greater Dublin Drainage project was initiated by Fingal County Council in 2011 on behalf of the four Dublin Local Authorities and those in Meath, Kildare and Wicklow. Fingal brought the GDD project through a rigorous alternative sites and routes assessment process and identified a preferred project solution. 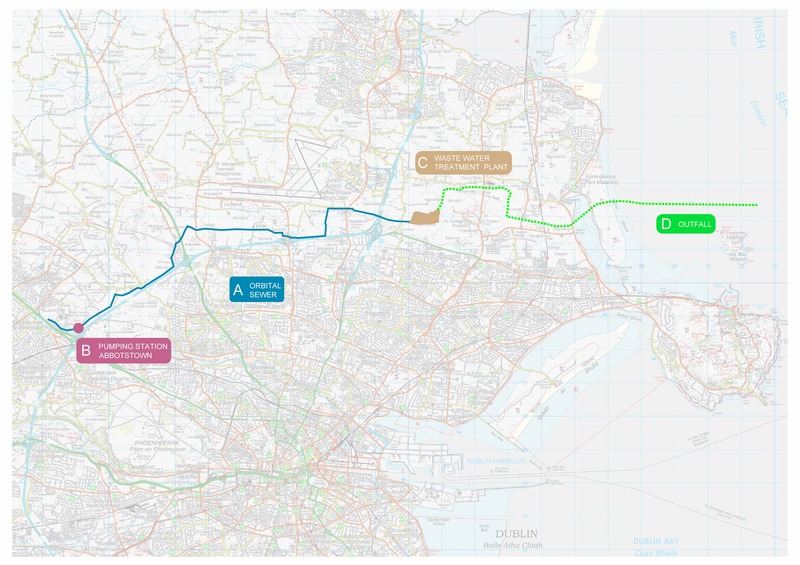 The GDD project will divert wastewater via a new orbital pipeline starting at Abbotstown and running eastwards (north of the M50) to the new regional treatment facility at Clonshaugh. 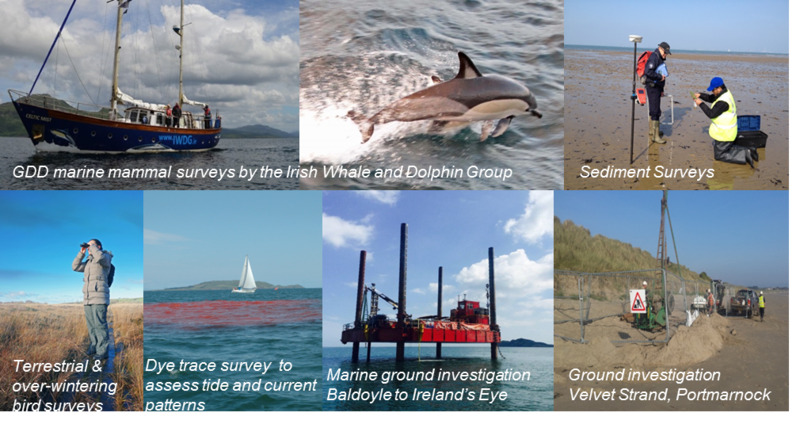 The treated water will be safely returned to the marine environment via an outfall pipeline which will extend 6km into the Irish Sea. Once operational, the GDD project will provide additional wastewater treatment capacity within the north Dublin area and will alleviate pressure on the Ringsend facility. The project will support the future development of Fingal, north Dublin and the surrounding counties. Since assuming responsibility for the GDD project in 2014, Irish Water has been undertaking comprehensive environmental and technical studies to prepare a planning application for this important new regional treatment facility.These studies will be complete by the end of this year. Irish Water intends to submit a planning application for the Greater Dublin Drainage project, under strategic infrastructure legislation, to An Bord Pleanála in the first half of 2018. Consultation with the public and all stakeholders continues to be an important part of the GDD project. The project team is available to provide information to all stakeholders and will be holding further GDD public information events locally in the coming months. Click here to view a short information video on the GDD project. 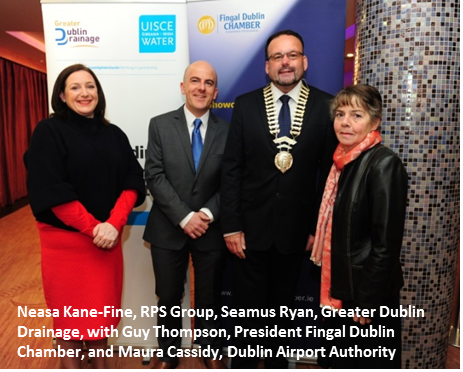 Irish Water held a briefing on the Greater Dublin Drainage project in conjunction with Fingal Dublin Chamber in Blanchardstown on 28th March. The briefing was attended by organisations from across the GDD project area including representatives of businesses within the Dublin Enterprise Zone, Fingal County Council, Dublin Airport Authority, Blanchardstown Institute of Technology, and property development companies. 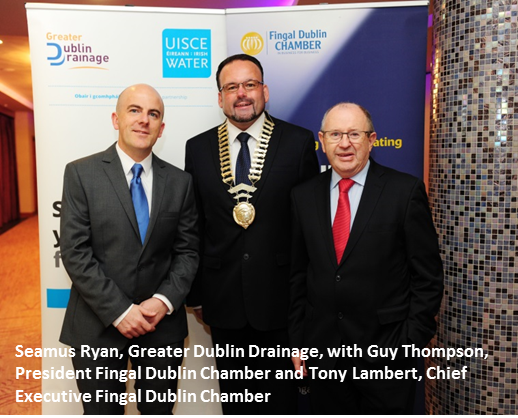 In his opening remarks, Fingal Dublin Chamber President Guy Thompson reflected on the strategic importance to all employers in the north Dublin economic hub of having a reliable water and wastewater network that is capable of meeting current and longer term demand. Representing the GDD project, Seamus Ryan outlined how the GDD project will be a key enabler of residential and commercial development and will support employment in Dublin and the wider GDA. Ciarán O’Keefe of Jacobs Tobin (GDD Technical Consultants) provided an overview of wastewater treatment within the GDA. Also at the end of March (29th), the GDD project team provided an update to the Fingal County Council / Dublin City Council Inter-Authority Information Forum at County Hall, Swords. The purpose of the IAI forum is to facilitate the sharing of information on issues of common interest to communities in the north fringe areas of Dublin and southern Fingal. Representing the GDD project, Peter O’Reilly and Dan O’Boyle provided the elected representatives with a progress update on the GDD project and an update on the related development of a Regional Biosolids Storage Facility for greater Dublin. Irish Water has been undertaking studies to identify a suitable site for a Regional Biosolids Storage Facility for greater Dublin (all of Dublin and parts of Counties Meath, Kildare and Wicklow). Following two previous technical reports and consultations held earlier this year, Irish Water has now identified a preferred site for the new facility at Newtown/Kilshane in Dublin 11. Biosolids are a by-product of the wastewater treatment process. They are nutrient-rich materials which are sustainability reused as a soil conditioner and fertiliser in agriculture and forestry in compliance with EU and national regulations. Biosolids produced at the Ringsend and GDD wastewater treatment plants will be temporarily stored at the new storage facility before being outputted to agriculture during planting seasons each Spring and Autumn. The new biosolids storage facility will form part of the upgraded wastewater treatment network for greater Dublin and will facilitate its continued growth while protecting the environment. The consultation on the Stage 3 report on the preferred site and the environmental assessment process for the new biosolids storage facility runs from 29th August until 10th October 2017. Planning permission for the new biosolids storage facility will be sought as part of planning applications for the Ringsend wastewater treatment plant upgrade and for the Greater Dublin Drainage project in the first half of 2018. Further information is available on the biosolids section of the Irish Water website.